Yay! I am so happy for you. You know (or maybe you don't), a post of yours caught my eye on my first visit to this site. It was the first time I made a comment. I've considered you my quit buddy ever since. We're really doing this!!! Don't feel guilty about doing well, you have earned it! You have earned it, both of you. Stay strong and stay proud. Way to Go!! You are doing it and I am not surprised. I can always "hear" your resolve in your posts. I am STILL grateful over 5 years quit! I just know you will continue to hit milestones and be at the point, too. Just keep adding a day at a time and you'll get there. Freedom is a wonderful thing! Congratulations on your 70 glorious smoke free days and counting WTG, you are rocking your stupendous quit. CONGRATULATIONS, I am so very happy for you. I have been quit for 3 1/2 years + and I am so grateful every single day for another smoke free day. Thank you so much could not have been here without you guys helping along the way. Great work!!!!! Keep it going....just one month longer....and you will be getting that key to the Triple Digit Club!!!!! Woo Hoo!!!!! Congratulations on 70 smoke free days! i know in the beginning it seems to go so slow but when you are keeping busy, it just zooms by so fast. It's a good thing! Congrats you go grl.....keep on keeping on ...YAHHOOOOOOOOO for you! Congratulations on 70 DOF !!! 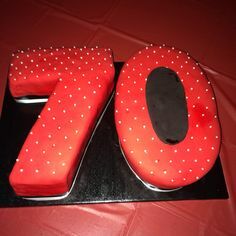 70 is as awesome as your attitude! Thanks for sharing. good for you! be proud! quitting is different for everyone and it looks to me like you are a HAPPY QUITTER!!! Please come and support us that need to hear your story!